Our family has finally made the long-awaited purchase, we bought a motorcycle. 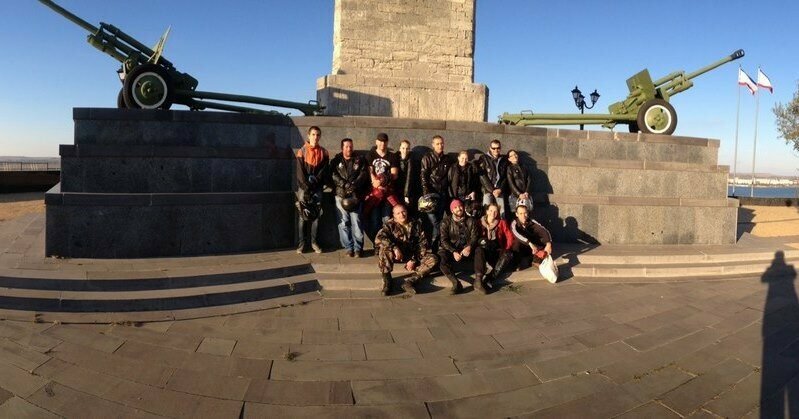 The biker mission to the Crimea, which we thoroughly planned, has become a reality. Below you will find our testimony. When Dima became Christian he got a dream of a ministry to the bikers in Russia and in the whole world, touring on a motorcycle. We live in Sochi and got acquainted with a wonderful couple of travelers Tanya and Vanya. Once they mentioned that it would be great to go somewhere together. We supported the idea and suggesting going to Kerch, since there was a United Methodist church there which would welcome the travelers. At that point we even had no motorcycles, just scooters which were not fitted to long journeys. However, the desire to share the Gospel was strong. 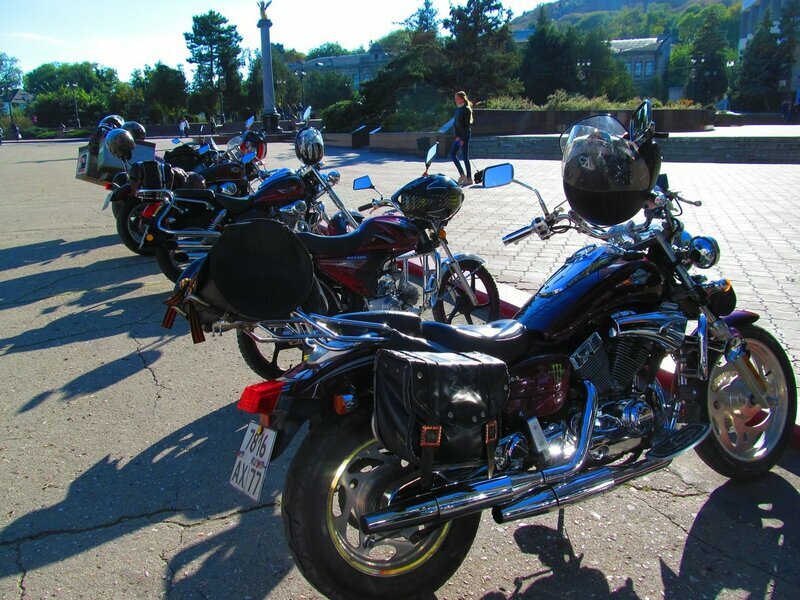 We planned the trip, arranged everything with the church in Kerch and started to pray: how can we serve the bikers of Kerch and bring the God's light? 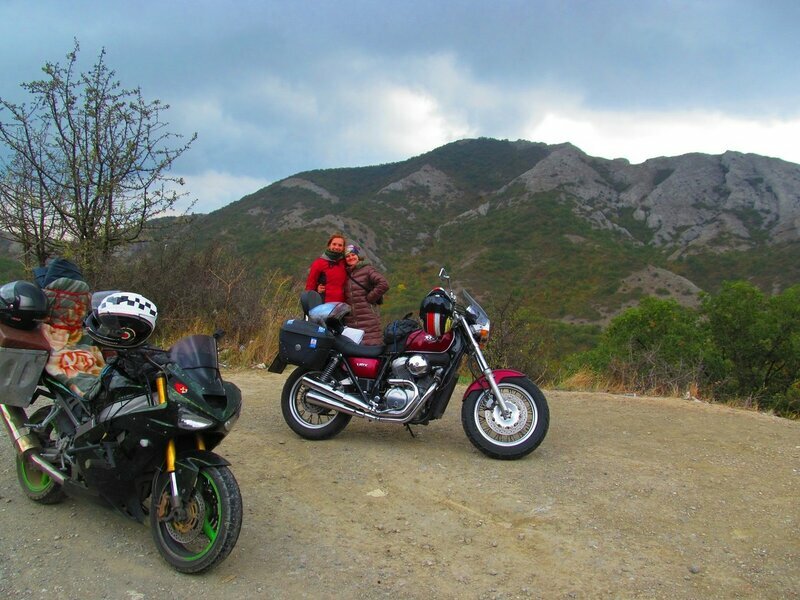 We had a fascinating idea of organizing a motorcycle quest around the town of Kerch. The participants of the game had to orientate and guide themselves following hints and fulfilling tasks. Such events are a popular trend now, however, none of such kind was held in Kerch back then, and we were all very excited. We found and connected with some local bikers through the Internet. We started to communicate and we suggested the idea of organizing the quest. Two family couples supported the idea and these four people were thought to participate in the event. We started planning the quest which would allow the participants to get to know the town and learn something new. God gave us a great idea - bikers are modern knights, thus, each point of the quest should allow the participants to acquire a knight trait or a virtue. For instance, the participants had to get a hint about the further route from pots filled with slop and warms. They also had to practice how to write poems for their ladies. Moreover, they had to acquire a skill how to defend Christian faith. The participants came to the church of John the Baptist and had to decipher the given code, using verses from the Bible. They opened the Bibles and were searching through. What an extravagant view – a biker reading the Bible. Actually, entering the Methodist church was also one of the challenges for them, they didn’t know what to expect, they were afraid to go in. How astonishing it was to see seven bikers at the start of the quest, since we were expecting only 2 to come. There were 12 new people. God is so good. The quest lasted for about 3 hours. As we thought, everyone got to know each other and became friends. The final destination of the quest was the United Methodist Church. It turned out that no one knew anything about it and it was the first time they entered the building. God gave us opportunities to fulfil those tasks. On the way to Kerch we helped one biker who got into an accident, he hurt his head, we were waiting for the ambulance together. His motorcycle was also damaged, we helped to toll his vehicle. We also gave him the Bible with our contact details. We met another man on a scooter who played the guitar, we had tea together and gave him the “biker” Bible. He was very glad to receive such a present. It was the first time for our friends Tanya and Vanya to visit the service in a Methodist Church. After Kerch we also went to Feodosiya, Koktebel and Sudak. It was an unforgettable experience – we studied the Scripture together, prayed, praised God for the beautiful colors of Autumn he gave us in the Crimea. Many people prayed for the ministry to come true. The mission was accomplished, we saw God’s hand in our journey, he protected and guided us. We had a wonderful weather during the whole trip. Even our friends Tanya and Vanya, once were approaching Novorossiysk, noticed that there were dark clouds to the left and to the right, but the sky above us was clear, not a drop fell. The way home was a bit more challenging, we waited for a day since there was no ferry due to the storm. But even that day we have done something good for our souls in fellowship and communion. Everything that had to happen happened. Praise God! We are looking forward to our next mission.